The price listed in this ad is not actual price because it is updated daily. 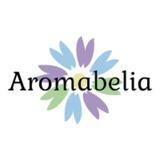 For the latest price and more info about the product, please visit https://aromabelia.com.au/products/aroma-diffuser-essential-oil-locket-pendant-necklace-27mm-venilia Please go to https://aromabelia.com.au to buy this product or to see other products. Follow us at our Instagram account: @aromabelia or Facebook: @aromabeliastoreaustralia Aroma Diffuser Essential Oil Locket Pendant Necklace 27mm (Venilia) Heart Pattern Aroma Box Pendant Necklace 316L Magnetic Aromatherapy Essential Oil Diffuser Perfume Locket Pendant Jewelry 27mm Features: - 19 designs to choose - Put the essential oil to diffuser pads and then put diffuser pad to locket pendant - Unique and antique necklace diffuser - Combine with Aroma Diffuser devices to get free shipping for order above $50 Because of high demand, the estimated delivery time for these products are between 20-45 days. Essential Oil required and sold separately (not included with the necklace) Diffuser Pad is not included with the pendant and sold separately (there is option to choose from selection) Specifications: Item Type: Pendants Metals Type: Stainless Steel,Zinc Alloy Pendant Size: 27mm Material: Metal Brand Name: VIYVES Name at the back of product name is a store product code and not the original product name.